Our speakers for the Tuesday, October 31, 2017 monthly meeting will be club youth members Martin Dietz, Orion Drymond and Spence McNamara who will be telling the club about fly fishing “Youth Education Programs” in which they participate and which are available to youngsters interested in fly fishing. 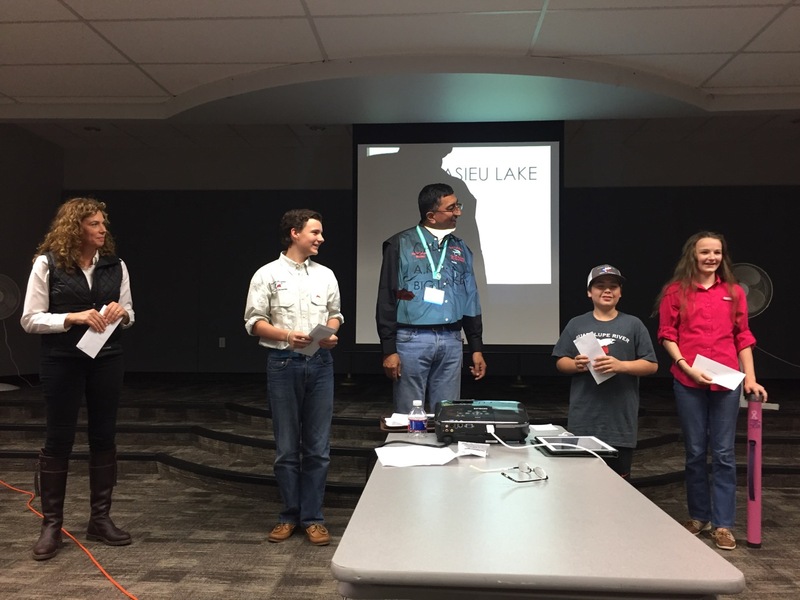 Their presentation will cover the USA Youth Fly Fishing Team, an Overview of the Texas Brigade Program and a summary of the 2017 Coastal Brigade Camp. So, if you know of any youngsters interested in participating in fly fishing activities for young anglers or who are already involved in fly fishing and just want to hear of additional opportunities available to them bring them along – they will enjoy the presentation as will all of the club members who come out to show their support for the youngsters who will be making the presentation. Additionally if you are interested in watching some fly tying before the meeting or just socializing with a friendly group of fly fishing men and women come to the October 31, 2017 monthly meeting. We would be glad to have you and look forward to seeing you at the meeting. This looks to be a great presentation. Do we have a video camera operator laid on? Can someone confirm time and location for a newbie? Houston, Texas 77074; PHONE: (713) 541-9951; baylandcc@pct3.co and formally begin at 7 pm; although, members arrive between 6 and 7 to socialize and tie flies. Come on out to the meeting; we would be glad to have you. No; at present there are no plans to record the presentation. I have a camera if it is OK with the parents. Working on uploading the videos.